Conscious dining is a platform which allows individuals to come together to share a fine meal, to engage in stimulating conversation with intriguing company and most importantly do so for a good cause! Most of us enjoy the experience of fine dining from time to time and since all cities are bustling with great energy and lots of new restaurants to explore, it is nice to venture out and try new venues for dining once in a while. On the other hand, even if the restaurant you dine at happens to be superb, the company you keep is generally a key factor in determining how pleasurable your dining experience will be. I am sure you’ve experienced times where you left an amazingly sweet restaurant with a sour taste in your mouths, not from the food or the ambience but from the company that was present! 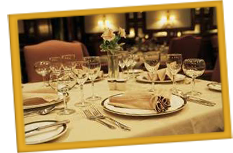 Now imagine if we were to tell you that we will arrange exquisite dinner plans for you and 11 other diners who have similar interests to yours at a unique restaurant in your city where you can enjoy an evening indulging in spectacular cuisine and engaging is stimulating conversation with other like-minded individuals? 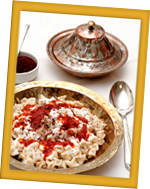 In each dinner, there will be one special guest of honor who is a known personality within their areas of experience. Better yet, imagine if we were to tell you that 100% the of amount you will pay for your dining experience will be used to elevate the lives of children through Live it up Foundation? After all, you were planning to pay for a lavish dinner anyway, weren’t you? Only now, instead of paying the restaurant to eat, they will be offering the meal to you for free or at cost to support our cause hence you’ll be paying Live it up to organize such an evening all the while your contribution will fund Live it up Foundation and the programs we serve within it. 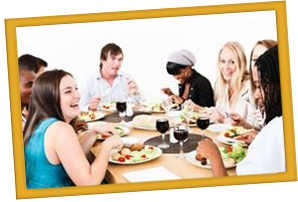 If there any particular individuals with whom you would have a keen interest in dining with, please email us their names, a little bit about who they are and why you are recommending them to be the special guest of honor. Then leave the rest to us and we will work hard to try to arrange it! Please do not recommend any HH or HE titled individuals as that would be difficult for us to accommodate. Thank you for your contribution towards elevating children’s lives!